Kids are so carefree & full of life. 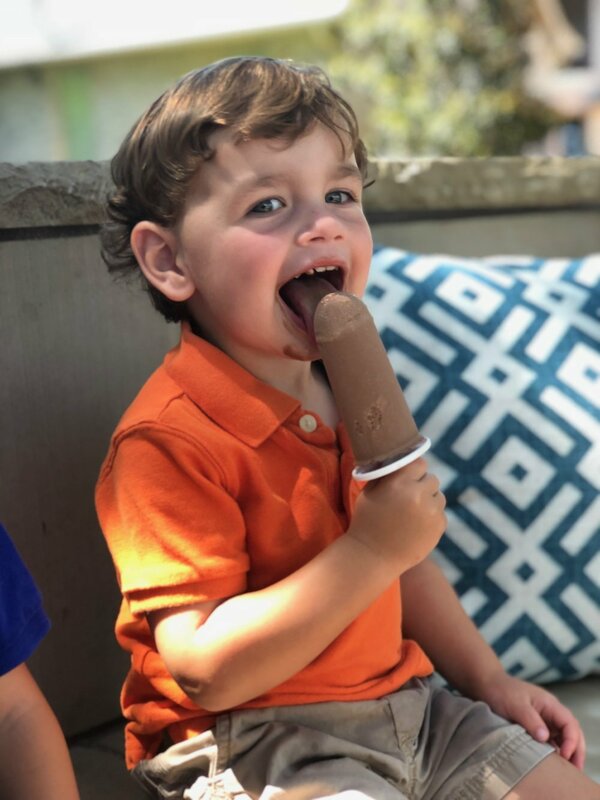 Mine are bigger now & though they enjoy a good Chocolate Popsicle as much as the little ones, something about seeing kids enjoy a cold popsicle on a hot afternoon brings a renewed sense of the wonder & pleasure of life. 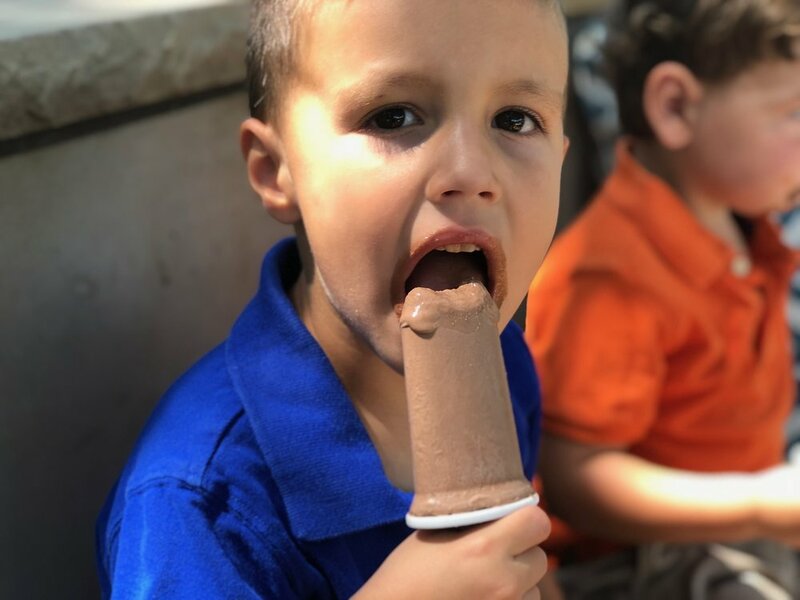 I got to spend a little bit of an afternoon with 2 sweet little boys enjoying popsicles. They licked as fast as they could to catch every melting drop while we talked about dinosaurs, puppies & their baby sister. They also refused to share with their mom - ha! When they were done they washed their chocolate covered little faces & hands in my pool. The innocence of these sweet boys had no idea they weren't getting just as clean as they would with soap. It was fun & that's all that mattered. I've now made these Chocolate Popsicles for children, teenagers & adults & everyone agrees they are delicious! prepare 8 popsicle molds by placing them in the stand. place all ingredients in a high speed blender & blend for 60 seconds, making sure the cashews have become "cream". pour chocolate popsicle base into molds, freeze overnight before serving!